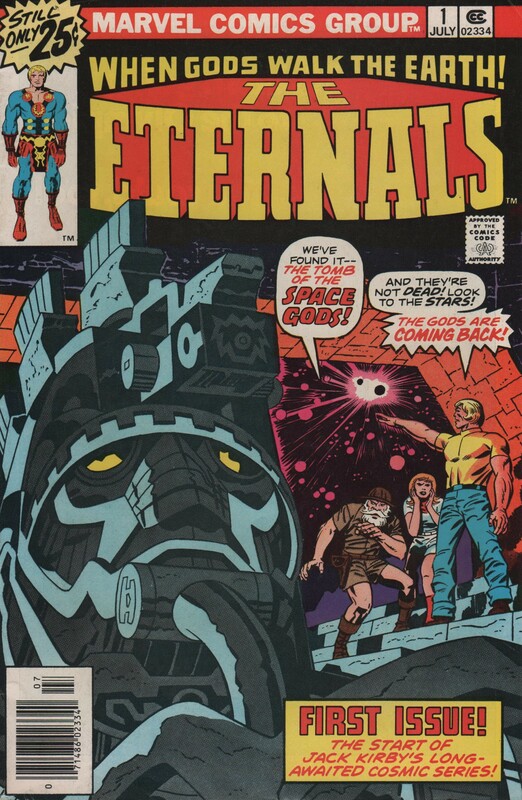 The Eternals #1, 1976. “When Gods Walked the Earth” | Magazines and Monsters! A couple of years ago, I decided to dig deeper into the wondrous world of Jack Kirby. Being a Marvel zombie at the time, I thought I’d grab this series if I could find it in its entirety, and for a bargain. Well, I’m happy to say that for $38, I bought the full series (yes, even the Annual) for that low price! Most of the books are in good condition, and only a couple are a little worse for the wear, but still readable. This fantastic series takes a journey through ancient times, and gives the reader a glimpse at the future too! Written, drawn, and edited by the King (inks by John Verpoorten)!